To advance goals 3 and 8, this article explores the causality between mental illness and long-term sickness absence. In a randomized clinical trial, a 4-h training programme for managers reduced sickness absence among employees in the Australian fire and rescue service at 6 months after the intervention. The training was highly cost effective and should be tested in other populations. SDG 3 target 3 is concerned with ending the AIDS epidemic. 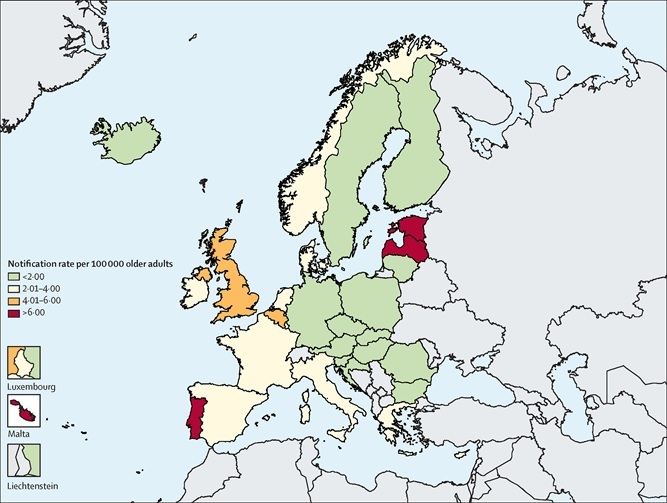 Between 2004 and 2015 there were 54 102 new cases of HIV infection in older adults (aged ≥50 years) reported in the 31 countries of the European Economic Area (EEA). In comparison with younger adults this age group were more likely to present late and to have acquired the infection via heterosexual contact. The notification rate of new infections increased in older adults over the time period studied, which highlights the need for increased education and targeted prevention strategies for this population. Chronic kidney disease (CKD) is increasingly recognized as a global public health concern and an important contributor to morbidity and mortality. In support of SDG 3, this review expands on the recently published International Society of Nephrology (ISN) CKD roadmap, which discusses the globally relevant major traditional and nontraditional CKD risk factors, highlights gaps in knowledge, and recommends strategies to close these gaps and enhance CKD prevention. Infection with H pylori significantly increases an individual's chances of developing gastric cancer. SDG 3.4 aims to prevent non-communicable diseases such as cancer; this study provides policymakers with the evidence to decide optimal first-line H pylori eradication regimens according to local prevalence of primary antibiotic resistance and develop effective strategies to control the rising antibiotic resistance in their countries. This study evaluated the outcomes of a community-based distribution program that provides migrant, refugee, and cross-border women from Burma with evidence-based information about and access to misoprostol for early pregnancy termination. The documented outcomes from this initiative may be valuable for those working to reduce harm from unsafe abortion in other legally restricted, low-resource, and/or conflict-affected settings and help to advance SDG 3. Reducing premature mortality from non-communicable diseases, such as cardiovascular diseases, is a target under goal 3 (good health and wellbeing). This article investigates the relationship between diet and the common risk factors for heart disease.